Phillips Hardwood Floors was established by John Phillips in 1990. He created this successful business by always pursuing the highest level of standards and quality of service. In 2014 John retired and his nephew Jason Mikita and long-time employee Dustin Chiocchi took ownership of the company and have since succeeded in carrying on the tradition of quality and expertise. 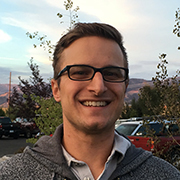 • Jason Mikita moved to the Bozeman area in 2000. In 2002 he began work in the construction industry and eventually became a skilled finish carpenter. He first started working for Phillips Hardwood Floors in 2010 and began learning the processes and techniques involved with finishing and refinishing hardwood floors. Jason has a great eye for detail and the carpentry skills required to create beautiful hardwood floors. 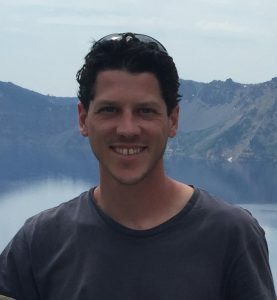 • Dustin Chiocchi came to Bozeman and attended college at Montana State University in 2002, graduating in 2005. He began working for Phillips Hardwood Floors in 2007. Dustin has developed a vast knowledge and mastery of hardwood floor sanding, finishing and refinishing techniques and takes pride in keeping current with new techniques while understanding the value of traditional applications. At Phillips Hardwood Floors we understand that communication is crucial to any successful project. We make it easy with free estimates and on-site visits. Contact us today to get started on your next project. SATISFYING CUSTOMERS IN SOUTHWEST MONTANA SINCE 1990. MEET OUR WOOD SUPPLIERS Call now for a free estimate! © 2017 Phillips Hardwood Floors - Bozeman Montana. All Rights Reserved.